Vampire Hunter font here refers to the font here refers to the font used on the poster of Abraham Lincoln: Vampire Hunter, which is a 2012 American action fantasy movie in which the real-life figure Abraham Lincoln is portrayed in the movie as having a secret identity as a vampire hunter. 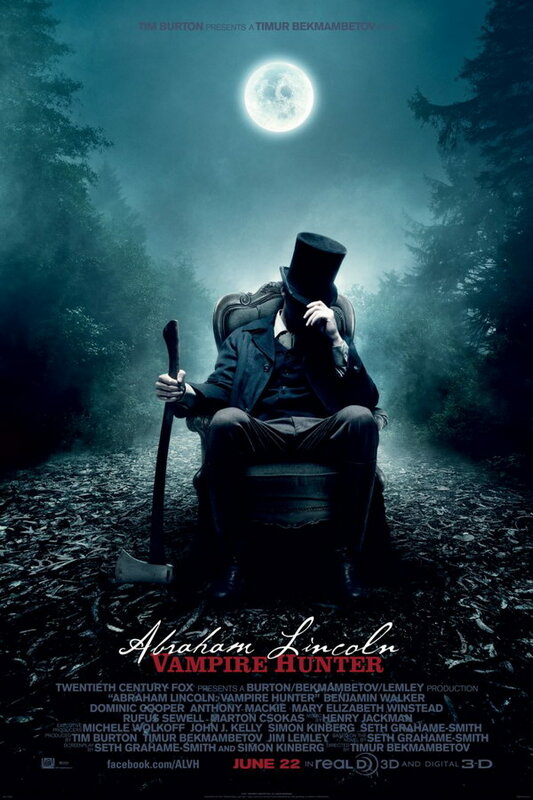 Two fonts were used for the movie title in the poster, with “Abraham Lincoln” probably in or based on P22 Cezanne Pro and “Vampire Hunter” in Clarendon. Both are available as commercial typefaces and you can view more details about it here and here respectively.